It's a yearly exercise in frustration to get your hopes up too high for the Emmys, since the better television gets, the less likely it is that every great thing can snag a nomination. And this morning's announcement of the 2013 Emmy nominations-- you can read the full list here-- was packed with wonderful, richly deserving nominees, from perennial favorites in the cast of Breaking Bad and Mad Men to first-timers like Scandal's Kerry Washington and Netflix's new series House of Cards. We're a long way from the days when CSI was getting nominated every year, is what we're saying. But who would we be if we didn't find room to complain? Here are the snubs that had us shaking our heads the most this morning-- and in a lot of these cases, these are snubs that can fixed next year. Celebrate this morning, nominees! But hopefully many of these people will be coming to knock you out of your spot a year from now. Corey Stoll, Outstanding Supporting Actor in a Drama, House of Cards. Without spoiling anything, Stoll won't be back for House of Cards Season 2, which means this was the only chance to reward his deeply felt, frequently heartbreaking performance as the self-destructive Representative Peter Russo. He was a patsy in the endless machinations of Kevin Spacey's ruthless Frank Underwood, but Stoll's Peter Russo was also the crucial emotional heart of the series, the guy you rooted for even though, in plenty of ways, he was as selfish as everyone else on the show. Stoll was also mysteriously left out of the Screen Actors Guild nomination for the cast of Midnight in Paris despite his electric performance as Ernest Hemingway, so apparently this is becoming a disturbing trend for the guy. 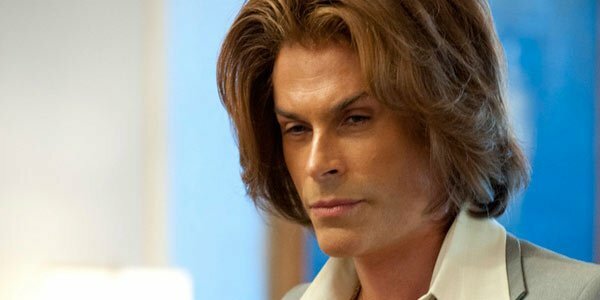 Rob Lowe, Outstanding Supporting Actor in a Miniseries or Movie, Behind the Candelabra. The Steven Soderbergh-directed movie wasn't left out in this category, with a nod going to Scott Bakula's performance as Bob Black, the man who introduced Matt Damon's Scott Thorson to Michael Douglas's Liberace. But all credit to Bakula-- Lowe's performance as the immoral and terrifyingly done-up plastic surgeon Dr. Jack Startz was the clear supporting highlight of the film. Both comic and terrifying, Lowe turned his pretty-boy looks inside out to become the picture of narcissistic Hollywood excess, the Virgil who led Damon's Thorson down the road into hell, or at least endless pill addiction. Lowe has somehow only been Emmy nominated once, for The West Wing way back in 2001. If Parks & Recreation can't get him back here, we really thought Behind the Candelabra could. With a single writing nomination for creator Greg Daniels, who wrote the moving finale, and a handful of technical awards, The Office went out with a whimper instead of the round of farewells it might have deserved. Yes, every single category is a crowded one, but it seemed possible for John Krasinski to finally get a nod (yes, that's right, he's never been nominated for playing Jim), or for Jenna Fischer to show up one last time. A Best Comedy Series nod was probably out of the question, but we were hoping for a slightly stronger show from these guys. FX's new drama was one of the most highly acclaimed new shows of the last year, but it somehow missed out on almost all of the categories, scoring only a nod for Margo Martindale in her guest appearance and for the main title music. The Emmys did a great job of celebrating fresh blood when Homeland blew in and won nearly everything in its first season; what kept the similarly spy-themed The Americans from doing the same? New Girl, any category whatsoever. Especially after snagging two acting nominations last year, the complete shutout of New Girl is a complete surprise-- even though, yet again, it's hard to know who to kick out of the various categories in which it was snubbed. Next year Alec Baldwin and Tina Fey won't be around to take up space for 30 Rock, so maybe Zooey Deschanel can return and Jake Johnson can finally make an appearance? Given how great it was last season it seems New Girl's best days are probably ahead of it, so we won't sweat its exclusion here too much. Mad Men, Outstanding Writing for a Drama Series and Outstanding Costumes for a Series. It seems weird to complain about a snub for Mad Men given how many overall nominations it earned, but its omission in these two categories seems especially egregious, especially given that Mad Men once had four out of the five nominations in the Drama Writing category, and it continues to be one of TV's best-written shows. As for the Costume Design snub, it's insane that Janie Bryant has never been nominated for the show, which not only features gorgeous period clothing, but tells so much of its story through the clothes its characters wear (check out Tom and Lorenzo's amazing Mad Style series for proof of that). 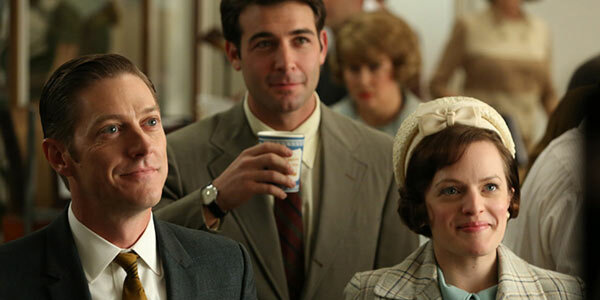 Mad Men still has one more season to go and might ride a big victory lap to a ton of wins next year. Janie Bryant had damn better be in that crowd. What do you think was the biggest snub of the Emmy nominations? Let us know in the comments!